The 10th parallel north defines part of the border between Sierra Leone and Guinea. 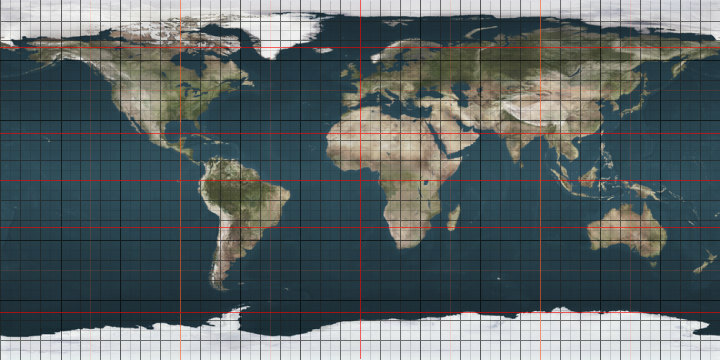 The 10th parallel north is a circle of latitude that is 10 degrees north of the Earth's equatorial plane. It crosses Africa, the Indian Ocean, the Indian Subcontinent, Southeast Asia, the Pacific Ocean, Central America, South America and the Atlantic Ocean. At this latitude the sun is visible for 12 hours, 43 minutes during the summer solstice and 11 hours, 33 minutes during the winter solstice. A section of the border between Guinea and Sierra Leone is defined by the parallel. The Ten Degree Channel in the Indian Ocean is named after the parallel. In the last scene of the final episode of the Spanish thriller series La casa de papel, a point near Palawan island, Philippines, with the coordinates of 10th parallel north and 118,5º, was the meeting point of El Professor and Raquel one year after the heist. This page was last edited on 11 June 2018, at 07:19 (UTC).